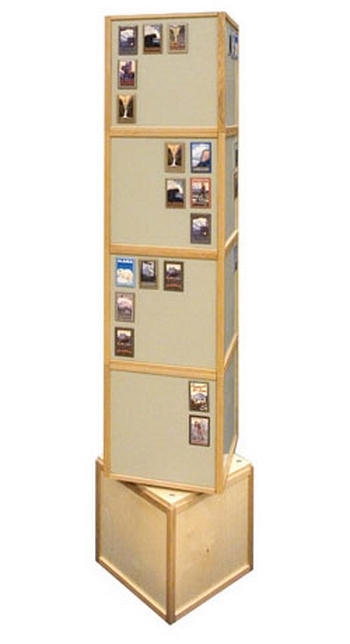 This is a floor spinning magnet display rack. There are multiple areas on each side of this display designated for displaying magnets. This allows for the most use out of the space. This spinning magnet display rack is constructed from solid baltic birch wood. This material looks great and is highly durable for fast paced retail environments. There is a rotating base built into this floor magnet display rack that allows customers to easily browse through your selection. The tall nature of this product also helps to save floor space by displaying items in a vertical fashion.